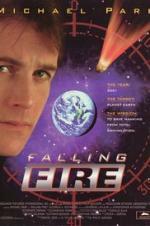 Buy or Rent Falling Fire (1997) Movie DVD & BluRay Online! Movie Plot: In the not so distant future mankind has squandered their resources. A team of specialists is sent to the nearby asteroid field to retrieve an asteroid that will serve to replenish some of our natural resources. However, unbeknownst to the team, there is a killer on board determined to take control of the asteroid and destroy all mankind.